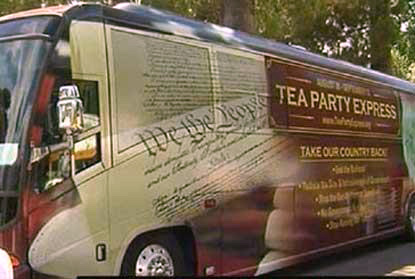 Dear Patriots, I just completed a 17-day national bus tour across America on Tea Party Express V — two rallies per day. We began in Napa, CA, and ended with a CNN Republican Presidential Candidates Debate in Tampa, FL. Our crew included comedian/actors Jim Labriola from the sitcom "Home Improvement" and Victoria Jackson from "Saturday Night Live." Gold Star mom Debbie Lee shared the story of her decorated son Marc Alan Lee, the first Navy Seal killed in Iraq. Mr. Constitution, Mike Holler, is author of the book "The Constitution Made Easy." 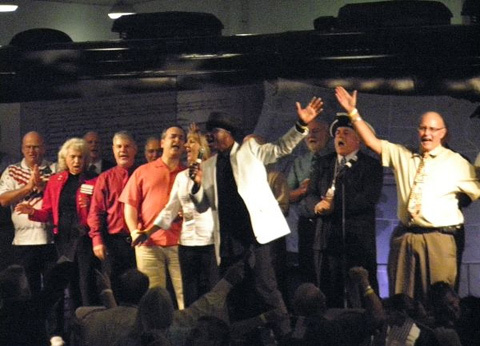 Singer Diana Nagy sang her original song "Where Freedom Flies" during our military tribute. Talk show host, Radio Patriot, Andrea Shea King spoke and blogged on the tour. Eric Odom is one of the original founders of the Tea Party movement. Judson Phillips is a powerful speaker, a major force in the movement and founder of Tea Party Nation. 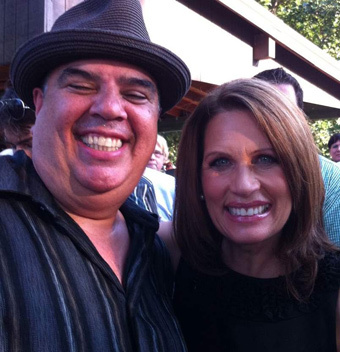 David Saucedo is a youth pastor and conservative rapper professionally known as Polatik. David is a brilliant young man of character who I predict will play a major role in turning around the youth of America. These are just a few of the extraordinary people I traveled and enjoyed fellowshipping with on Tea Party Express V. Various presidential candidates spoke at our rallies — Michele Bachmann, Mitt Romney, Sarah Palin, Herman Cain and others. But for me, the true stars of this tour and my five previous tours are the American people — committed tea party patriot foot-soldiers who are doing the work and attending our rallies. While I give 100% effort to entertain and inspire at each rally on every tour, Tea Party Express V was unique. I felt divinely inspired to "minister" to the patriots with my words, music, and presentation — encouraging them to stay diligent in their efforts and to remain hopeful. I opened each rally energetically singing my original "American Tea Party Anthem." I closed every rally singing "God Bless the USA." Extraordinarily and without planning to do so, I sang "God Bless the USA" warm, tender, and extremely heartfelt. The song became a prayer as many patriots wept at every rally. Praise God. Also unique to this tour, I spontaneously asked patriots to pray for our country. Interestingly, my call for prayer is historically American. In 1774 when Britain's King George III ordered the port of Boston closed to punish Massachusetts "Rebels," Richard Henry Lee helped to persuade the Virginia House of Burgesses to call for a day of "prayer" and "fasting." Tour highlights include the prayer I had in the back of the Tea Party Express Bus with three black conservative leaders in Michigan. I was moved by the number of patriots who tearfully thanked me for my articles, serving as their voice. At our Tea Party Express rally in Providence, RI, a former Marine and his adult son thanked me for my articles. The father/son duo stood in the rain and wept along with others as I sang "God Bless the USA." The three of us embraced as brothers in our love for the greatest nation on the planet. A warmth filled the air as I sang. During a musical interlude in the song, I commented to the audience, "Does this feel like hate to you?" The moving moment illustrated the despicable evil and ridiculousness of Obama's minions saying tea partiers want to see black Americans "hung from a tree." 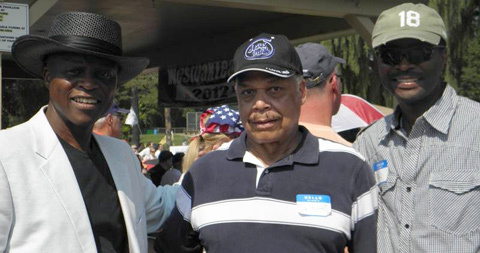 Many patriots across America emotionally told me of their frustration with the liberal media's erroneous portrayal of the Tea Party and their burden to share the good news of conservatism with black America. While black attendance at the rallies is growing, the majority of the audiences are still white. The liberal media attempts to use this fact to prove the Tea Party is racist. I believe it proves the majority of black voters are racist, not the Tea Party. Every black I have spoken with at Tea Parties said they were in attendance because they took an honest look at Obama, the man and his policies, rather than worshiping Obama's skin color. This is the behavior of honorable people — true patriots. 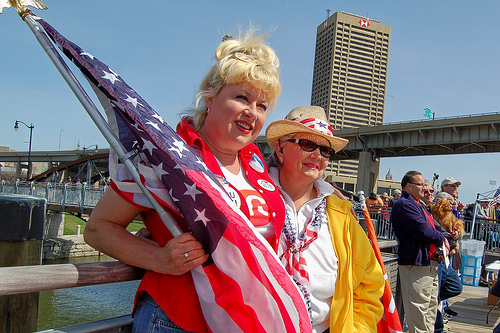 But my most memorable encounter of Tea Party Express V tour was the elderly white woman using a walker who slowly and methodically made her way to me. With tears in her eyes, she said, "Mr. Marcus, I teach black children. What can I do to educate them to the truths in your articles?" Wow! Brother and sister patriots, our extraordinary Tea Party movement is without a doubt divinely inspired. I say to you what I have said to patriots at approximately 30 rallies across America over the past two weeks: keep doing what you are doing, stay hopeful, trust God, and pray for our country. We are growing and winning. We will defeat Barack Hussein Obama and the evil emanating from his administration come November 2012.